My long-time business partner and I, one of us in Canada and the other in Silicon Valley, last year launched a business targeted at bringing immigrant entrepreneurs to Canada, Vendange Partners. http://www.vendangepartners.com. We spent months analyzing and investigating the Canadian entrepreneurial ecosystem, particularly Vancouver and Toronto, Canadian immigration policy, and the Canadian venture capital industry. What we found was very concerning. Last December, I wrote a blog post here detailing our findings (read more below) that Canada was nowhere close to being the next Silicon Valley. With regard to venture capital, we found that there was a lack of adequate risk capital, which could be traced to deeply rooted conservative values in the Canadian financial industry. Immigration policy was a mixed bag, with a “startup” visa program that had become a magnet for immigration scams. Despite these disadvantages, we decided to press ahead, and are making progress. That said, I was very interested yesterday to read the article in the Globe & Mail by University of Toronto Professor Richard Florida, and Ian Hathaway, Research Director for the Center for American Entrepreneurship, and Senior Fellow at the Brookings Institute. The article by Florida and Hathaway draws the same conclusions as my research, providing even more precise data to support their disturbing conclusions. It is not hard to find many additional articles on these issues. Ironically, also yesterday, a LinkedIn connection shared a post by Sciences, Innovation, and Economic Development Canada with a very upbeat, positive assessment of venture capital for startups in Canada. This is the essence of the problem. Since I came to Canada years ago now, I have seen a pollyannaish state of denial about the true situation for entrepreneurship, immigration policy, and the lack of “smart” venture capital for Canadian startups. No amount of counter-evidence has changed this mistaken rosy outlook. Without a recognition of these problems, nothing will change. Canada, we increasingly hear, is becoming a global leader in high-tech innovation and entrepreneurship. Report after report has ranked Toronto, Waterloo, and Vancouver among the world’s most up-and-coming tech hubs. Toronto placed fourth in a ranking of North American tech talent this past summer, behind only the San Francisco Bay Area, Seattle, and Washington, and in 2017 its metro area added more tech jobs than those other three city-regions combined. Overall, Canada ranks fifth among countries in the number of venture capital deals and sixth in venture capital investment, trailing only the United States, India, China, Britain, and Germany. That said, Canada’s share of the world’s venture capital investment is tiny, just 1.5 percent. And it has actually declined over the past decade and a half. But start-ups and entrepreneurship are a local phenomenon: They happen in urban areas. The good news is that a dozen or so of Canada’s cities make the list of the world’s 300-plus startup hubs. And the three largest of them – Toronto, Montreal, and Vancouver – rank among the world’s 62 leading global startup hubs. More worrying, Canada is failing to take advantage of the United States’ weakening position, which is attributable in part to its tighter immigration policies. While the U.S. continues to generate the largest amount of startup and venture capital activity, its share of the global total has been falling steadily, from more than 95 percent in the mid-1990s to about two-thirds in 2012, and a little more than half today. But the country that has gained the most ground is China, which now attracts nearly a quarter of global venture capital investment. Exactly why Canada is lagging is unclear. 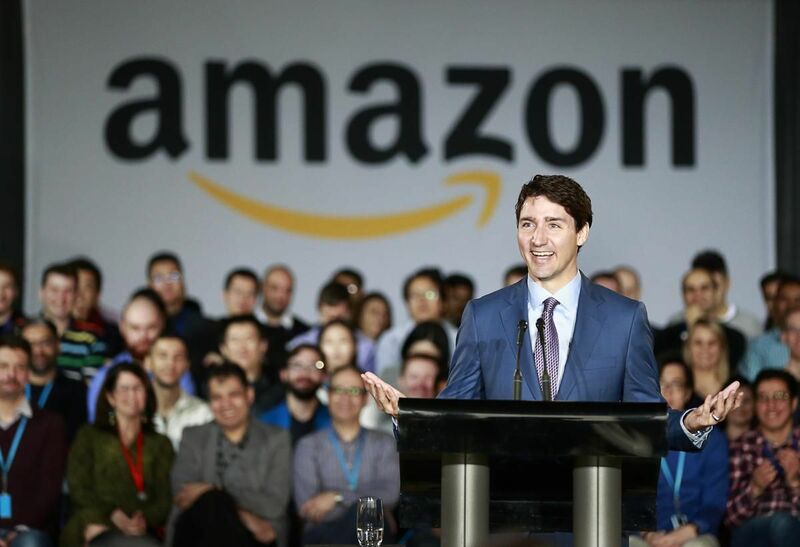 A growing number of Canadian commentators suggest that the influx of large U.S. and Asian tech firms into Canada is sucking up tech talent that would have otherwise gone to local start-ups. But companies like Microsoft and Google are such powerful talent magnets that they are more likely to increase the overall supply. After all, San Francisco, New York, and London are homes to some of the biggest tech companies in the world, and they are also leading startup hubs. Perhaps the brunt of Donald Trump’s anti-immigration policies has yet to be fully felt. Maybe it is because New York and the San Francisco Bay Area are close enough to lure Canadian entrepreneurs away, or maybe we are just not as entrepreneurial as we like to think.